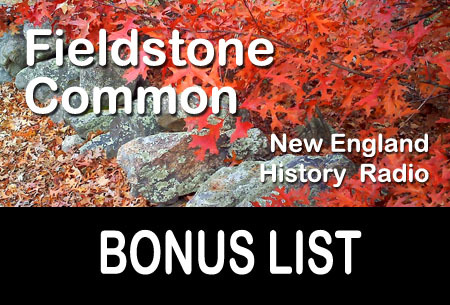 This week on Fieldstone Common our featured guest is Marla R. Miller, author of the book Rebecca Dickinson: Independence for a New England Woman. Marla R. Miller, a historian of early American women and work, has made a career uncovering the lives of women who left little in the way of documentary record. She is a professor of history at the University of Massachusetts Amherst and directs the Public History program there. She has won the Organization of American Historians’ Lerner-Scott Prize for the best dissertation on women’s history and the 1997 Walter Muir Whitehill Prize in Colonial History. This is Marla’s second visit to Fieldstone Common. She appeared on the July 4th, 2013 episode to talk about her other book, Betsy Ross and the Making of America. 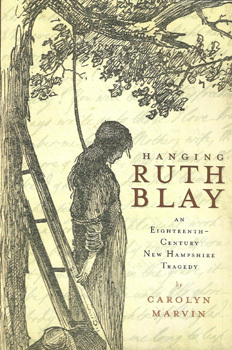 Rebecca Dickinson’s powerful voice, captured through excerpts from the pages of her journal, allows colonial and revolutionary-era New England to come alive. Dickinson’s life illustrates the dilemmas faced by many Americans in the decades before, during, and after the American Revolution, as well as the paradoxes presented by an unmarried woman who earned her own living and made her own way in the small town where she was born. Rebecca Dickinson: Independence for a New England Woman, uses Dickinson’s world as a lens to introduce readers to the everyday experience of living in the colonial era and the social, cultural, and economic challenges faced in the transformative decades surrounding the American Revolution. Trade Paperback; 194 pages with a list or primary sources, end notes, bibliographic essay and an index. 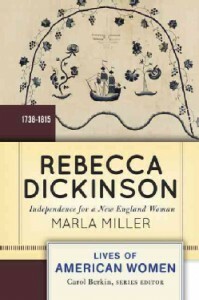 Rebecca Dickinson: Independence for a New England Woman is available for purchase from Amazon.com and other booksellers. Marla and I talk about the diary that acted as the background for Rebecca Dickinson: Independence for a New England Woman. Rebecca lived through American Revolution to see the birth of the United States. She remained unmarried and supported herself independently as a gown maker. Though she had several proposals of marriage she rejected them. Her life was a careful balance of conscious independence and loneliness. One copy of Rebecca Dickinson: Independence for a New England Womanwas given out to the Fieldstone Common audience courtesy of Westview Press. Congratulations to our winner and thanks to Westview Press for their generosity in donating the book! Question: What’s that’s new stuff in the Fieldstone Common title (FC 83)? Answer: That makes it easier, especially for iTunes and other podcast listeners, to keep track of which episode they are listening to. FC stands for Fieldstone Common and 83 is the number of the episode. 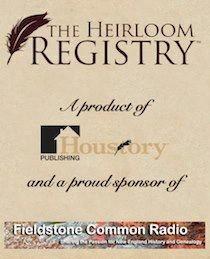 Here are some items that were mentioned during the 5 September 2013 Fieldstone Common interview with Jill Norgren about her book Rebels at the Bar: The fascinating, forgotten stories of America’s First Women Lawyers. 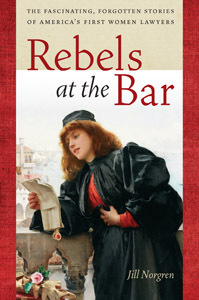 Rebels at the Bar: The fascinating, forgotten stories of America’s First Women Lawyers, published by the New York University Press, is available for purchase from Amazon.com and other booksellers. Rebels at the Bar details the history of American’s first women lawyers. Some of the names may be well-known such as Belva Lockwood or Myra Bradwell but most of the names will be new to the reader. Regardless, all of these pioneering women in the field of law shared a determination and commitment at a time when women were expected to stay home and tend to the family. The courage of these women helped clear the path for all women wanting to work outside the home. The New York University Press, the publisher of Rebels at the Bar, donated two copies of the book which were provided as giveaways during the live show to listeners in Arizona and Missouri. A big thank you to the New York University Press for their generosity. This week on Fieldstone Common, Marian Pierre-Louis interviews Jill Norgren about her book Rebels at the Bar. In Rebels at the Bar, prize-winning legal historian Jill Norgren recounts the life stories of a small group of nineteenth century women who were among the first female attorneys in the United States. Beginning in the late 1860s, these determined rebels pursued the radical ambition of entering the then all-male profession of law. They were motivated by a love of learning. They believed in fair play and equal opportunity. They desired recognition as professionals and the ability to earn a good living. Jill Norgren is Professor Emerita of Political Science at John Jay College, and the Graduate Center of The City University of New York. 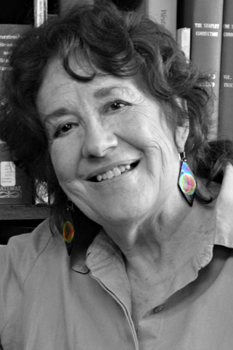 She is the award winning author of many articles and books, including Belva Lockwood: The Woman Who Would Be President (NYU Press, 2007); The Cherokee Cases; and American Cultural Pluralism and Law (with Serena Nanda). 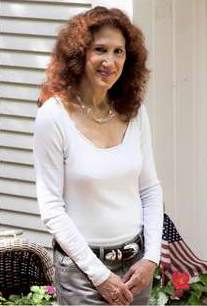 Following are some items that were mentioned during the 30 May 2013 Fieldstone Common interview with Nancy Rubin Stuart about her book Defiant Brides: The Untold Story of Two Revolutionary-era Women and the Radical Men They Married. Defiant Brides: The Untold Story of Two Revolutionary-era Women and the Radical Men They Married, published by Beacon Press, is available for purchase from Amazon.com and other booksellers. 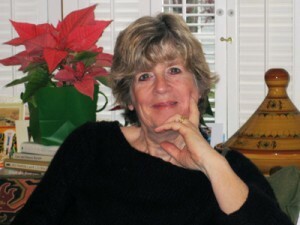 You can learn more about Nancy Rubin Stuart at her website. You can also follow her on Facebook and on Twitter. 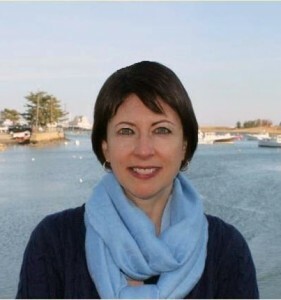 In addition to authoring books Nancy is the Executive Director of the Cape Cod (Massachusetts) Writers Center. The Cape Cod Writers Center holds and annual conference each August. 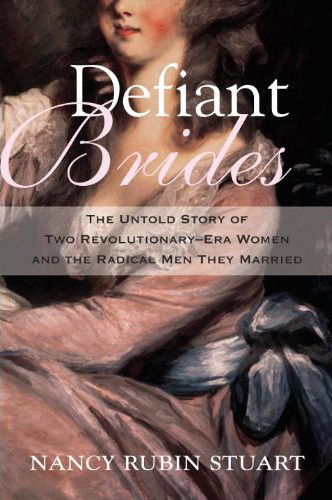 Defiant Brides: The Untold Story of Two Revolutionary-era Women and the Radical Men They Married is a dual biography that traces the lives of Lucy Flucker Knox who married Revolutionary War Patriot Henry Knox and Peggy Shippen Arnold who married Revolutionary War traitor, Benedict Arnold. Beacon Press, the publisher of Defiant Brides donated two copies of the book which were provided as giveaways during the live show to listeners in Kentucky and Missouri. A big thank you to the Beacon Press for their generosity! This week on Fieldstone Common, Marian Pierre-Louis interviews Nancy Rubin Stuart, author of Defiant Brides: The Untold Story of Two Revolutionary-Era Women and the Radical Men They Married. Esteemed biographer Nancy Rubin Stuart takes a close look at the lives of Lucy Flucker Knox and Peggy Shippen Arnold to reveal that neither was simply a “traitor” or “patriot.” In Defiant Brides, the first dual biography of both Peggy Shippen Arnold and Lucy Flucker Knox, Stuart has crafted a rich portrait of two rebellious women who defied expectations and struggled—publicly and privately—in a volatile political moment in early America. Following are some items that were mentioned during the 16 May 2013 Fieldstone Common interview with Barbara Silberman about Judith Sargent Murray and the Sargent House Museum in Gloucester, Massachusetts. This interview with Barbara Silberman, president of the Sargent House, details many of the accomplishments of Judith Sargent Murray’s life and showcases her intelligence, tenacity and enduring love for John Murray. Judith Sargent Murray (1751-1820) was an 18th century essayist who believed in equal education, a woman’s right to work outside the home and equal roles between men and women in marriage. These were quite extraordinary beliefs to be espoused during that time period. As such she was an early advocate for women’s rights. Her second husband was John Murray (1741-1815), an Englishman who established the Universalist denomination in the United States. The Sargent House where Judith spent her married life, is located in Gloucester, Massachusetts and is open as a house museum. The museum is open each year from Memorial Day to Labor Day. Each May the Sargent House holds a free event called “Judith Speaks” where volunteers read the words of Judith Sargent that still resonate today. The event is a great introduction to the life and works of Judith Sargent Murray. Here is a video of the Judith Speaks event from 2012 (from the Cox Simoes YouTube page). You can read the full story of the Grandfather Clock — which includes photos of the clock, his grandpa — and the actual thumbtacked note that inspired the Registry — on the Heirloom Registry’s blog. Following are some items that were mentioned during the 7 March 2013 Fieldstone Common interview with Michelle Marchetti Coughlin, author of One Colonial Woman’s World: The Life and Writings of Mehetabel Chandler Coit. You can learn more about the book at the One Colonial Woman’s World website. The site also includes a list of appearance that Michelle Marchetti Coughlin will be making this year. One Colonial Woman’s World, published by The University of Massachusetts Press, is available for purchase from major books sellers online and off such as Amazon.com. The Chandler family was originally from Roxbury, Massachusetts. In 1686 a number of Roxbury families including the Chandlers settled “New Roxbury” which later became Woodstock, Connecticut. Mehetabel Chandler’s maternal side, the Douglases, settled in New London. Mehetabel married John Coit, also of New London, Connecticut. During the week of the show it was discovered that Fieldstone Common host, Marian Pierre-Louis, is a descendant of Mehetabel Chandler Coit’s parents John Chandler and Elizabeth Douglas continuing down through the line of Mehetabel’s brother, John Chandler and his wife, Mary Raymond. Fieldstone Common listener Heather Rojo is also a descendant through Mehetabel’s sister, Hannah Chandler who married Moses Draper. The University of Massachusetts Press, the publisher of One Colonial Woman’s World, donated two copies of the book that were given as “door prizes” during the live show to listeners in Pennsylvania and Massachusetts. A big thank you to The University of Massachusetts Press for their generosity! 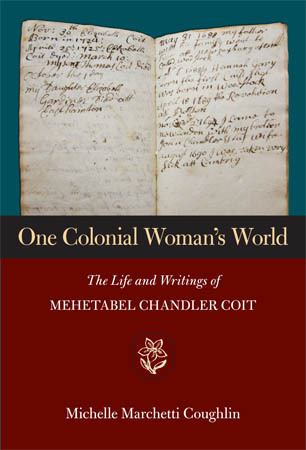 This week on Fieldstone Common, Marian Pierre-Louis interviews Michelle Marchetti Coughlin, author of One Colonial Woman’s World: The Life and Writings of Mehetabel Chandler Coit. 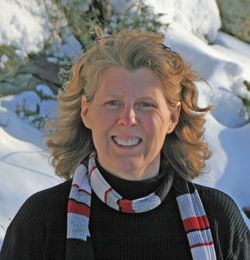 Michelle Marchetti Coughlin is an independent scholar and former editor who holds graduate degrees in history and English and American Literature. She lives south of Boston with her husband Mark and is currently working on an article about Mehetabel’s mother’s poem. Following are some items that were mentioned during the 13 December 2012 Fieldstone Common interview with Eve LaPlante, author of Marmee & Louisa: The Untold Story of Louisa May Alcott and Her Mother. 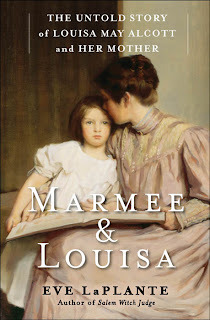 The companion book for Marmee & Louisa is called My Heart is Boundless which includes original, previously unpublished writings on Abigail May Alcott. You can learn more about Eve LaPlante from her web page. Watch a 3-minute video about Marmee & Louisa. Fruitlands is the location of the utopian community started by Bronson Alcott. It is open all years for visitors but has limited hours during the winter so be sure to check the Fruitlands website before making a visit. Orchard House is the Alcott home in Concord, Massachusetts where Louisa May Alcott wrote Little Women, the story which made her the most successful author of the 19th century. The 24th annual American Literature Association Annual Conference will be held May 23-26, 2013 at the Westin Copley Place in Boston, Massachusetts. The even will feature sessions on Louisa May Alcott. Free Press, a division of Simon and Schuster, the publisher of Marmee & Louisa and My Heart is Boundless, donated two copies of the Marmee & Louisa that were given as a “door prizes” during the live show. One copy went to a listener in Pennsylvania and the other to a listener in Arizona. A big thank you to the Free Press for their generosity! Megan donated two copies of her book, Hey, America, Your Roots Are Showing which were won by Fieldstone Common listeners in Pennsylvania and Arizona. Thank you Megan for your generous donation!